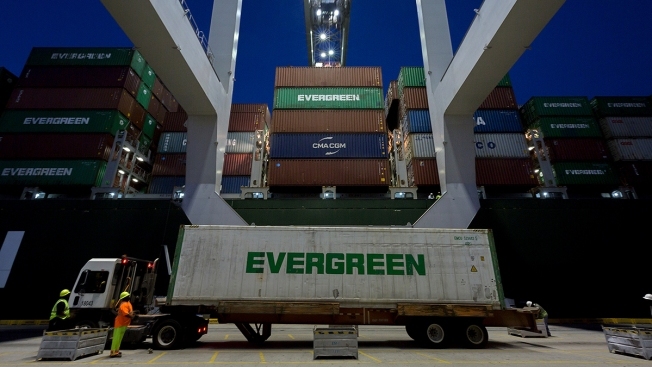 In this June 19, 2018, file photo, an Ever Green Line refrigerated container is delivered to a ship to shore crane working the container ship Ever Linking at the Port of Savannah in Savannah, Ga. On Thursday, Sept. 27, the Commerce Department issues the final estimate of how the U.S. economy performed in the April-June quarter. 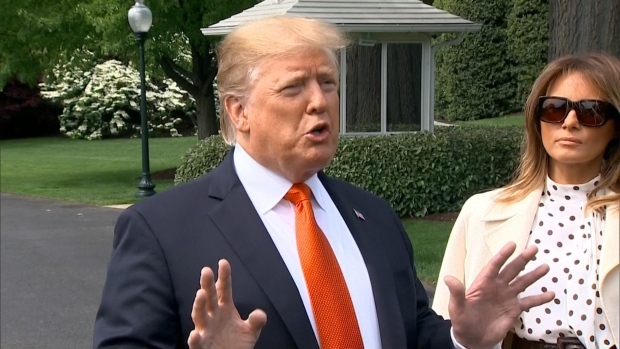 "We're doing much better than anybody thought possible," Trump said at a Wednesday news conference. However, a big part of that growth reflected a temporary rush to ship soybeans and other U.S. exports out before penalty tariffs triggered by Trump's get-tough trade policies took effect. Economists believe growth has slowed in the current quarter to between 3 percent and 3.5 percent, still a solid pace. While trade boosted GDP by 1.2 percentage point in the second quarter, due to a surge in exports, it is expected to trim growth by around 1 percentage point in the third quarter. Still, economists believe the country is on track for annual growth this year of around 3 percent. That would be the best performance since 2005, three years before the 2008 financial crisis pushed the country into the worst recession since the 1930s. The country is currently in the 10th year of an economic expansion, the second longest in history. But growth has averaged a lackluster 2.2 percent, making this the weakest recovery in the post-World War II period. The administration is projecting growth will return to sustained rates of 3 percent or better over the next decade. However, others disagree with that assessment, forecasting growth will slow sharply in the coming years as the impact of the tax cuts and increased government spending this year begin to fade. There is also an expectation that rising interest rates from the Federal Reserve will temper growth. As he has done recently, Trump criticized that move, but Fed Chairman Jerome Powell told reporters at a news conference on Wednesday that outside criticism would have no impact on the Fed's efforts to follow its mandate of promoting maximum employment and stable prices. The government's third and final look at second quarter GDP showed only minor and off-setting changes. Consumer spending, which accounts for 70 percent of economic activity, was unchanged at a solid growth rate of 3.8 percent. Business investment grew at a strong 8.7 percent rate, up slightly from last month's estimate of an 8.5 percent growth rate.